Imagine if Bigfoot carried a boombox! 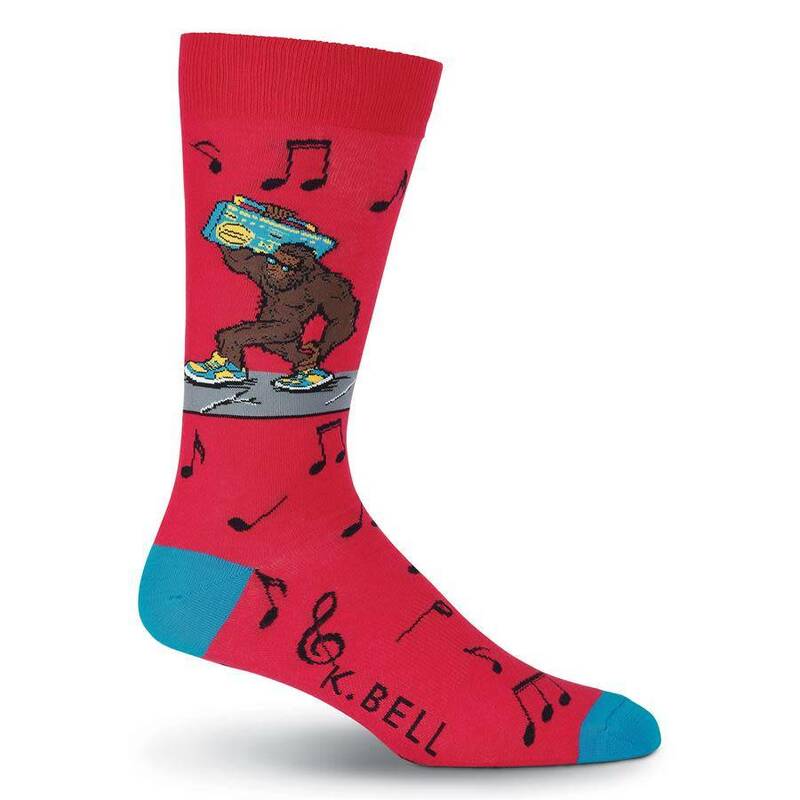 These novelty crew socks for men feature Bigfoot carrying a blue boombox over his shoulder, complete with matching dance shoes. Add this fun pair to your collection and rock these rockin' socks!